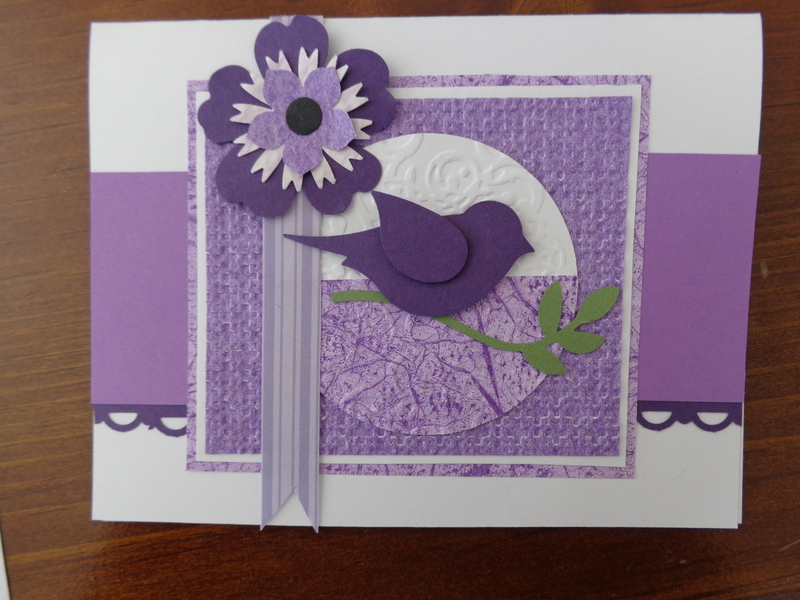 Welcome New Stamping Peace Team Member! Terry reminded us how versatile the bird punch is. 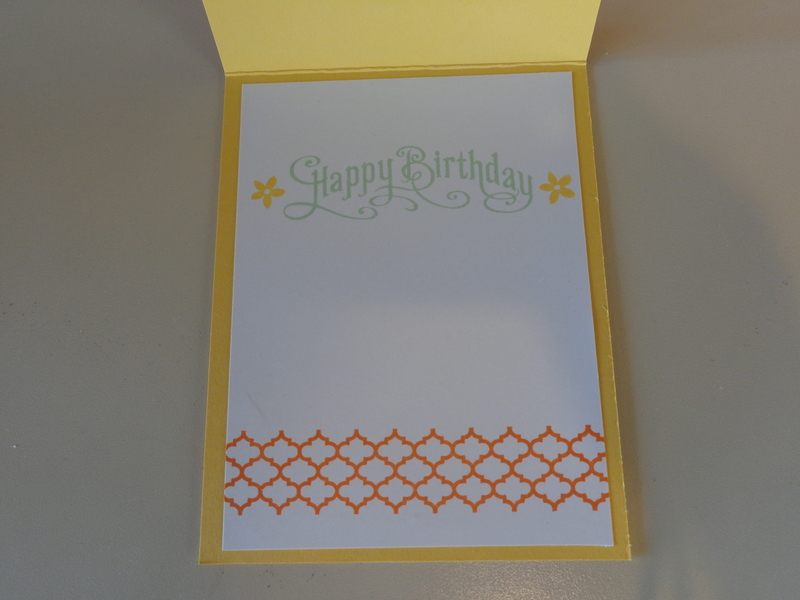 She also used the scallop border punch and the Pansy Punch. 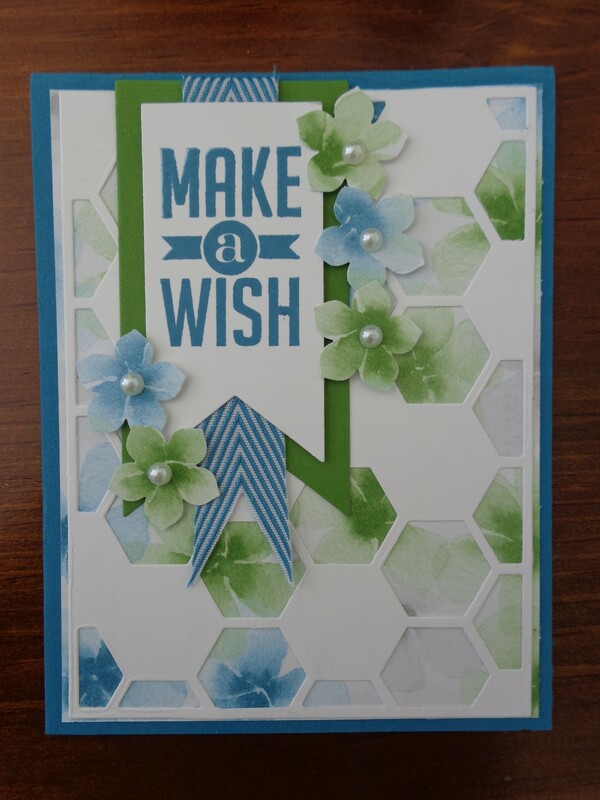 My swap card was a large version of this card, but I forgot to take a picture of it! 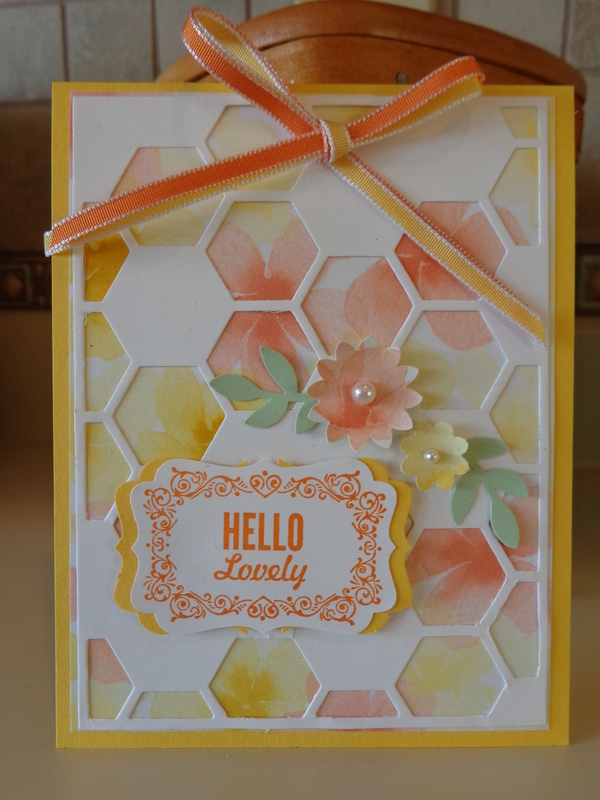 I used the Summer Silhouettes stamp set. 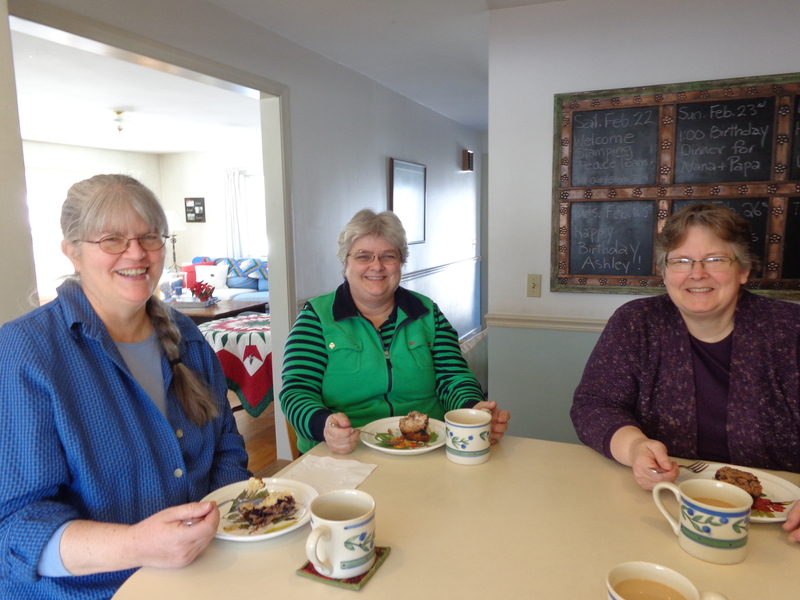 Good Morning from Stamping Peace… Terry, Mimi, Beth and those not pictured… Dawn (I was taking this picture), as well as Linda (Beth’s downline) and “Miss Pat” (deactivated but honorary member). Here we are this past week-end at our very first Stamping Peace Team Meeting, having the “business” portion of the gathering. 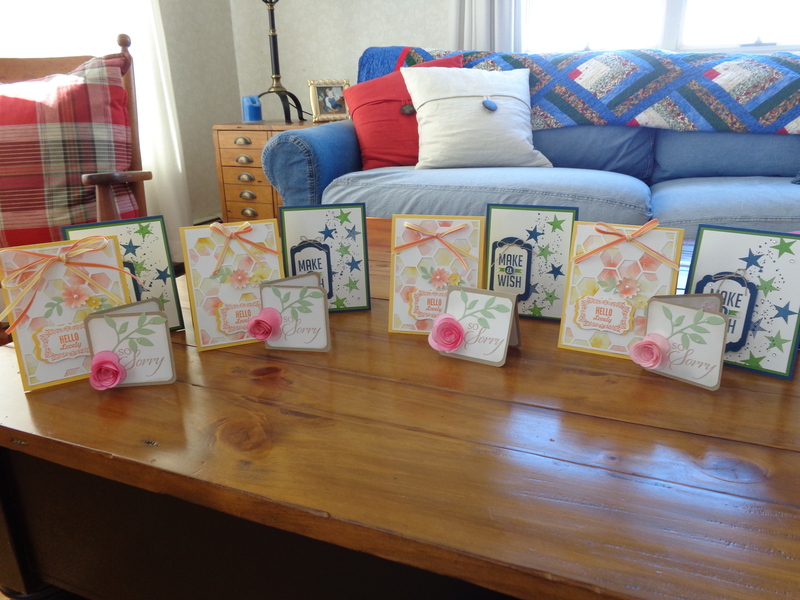 From there we moved to the “stamptuary” where everyone received a little thank you gift for their part in adding such dimension to Stamping Peace…a package of dimensionals! 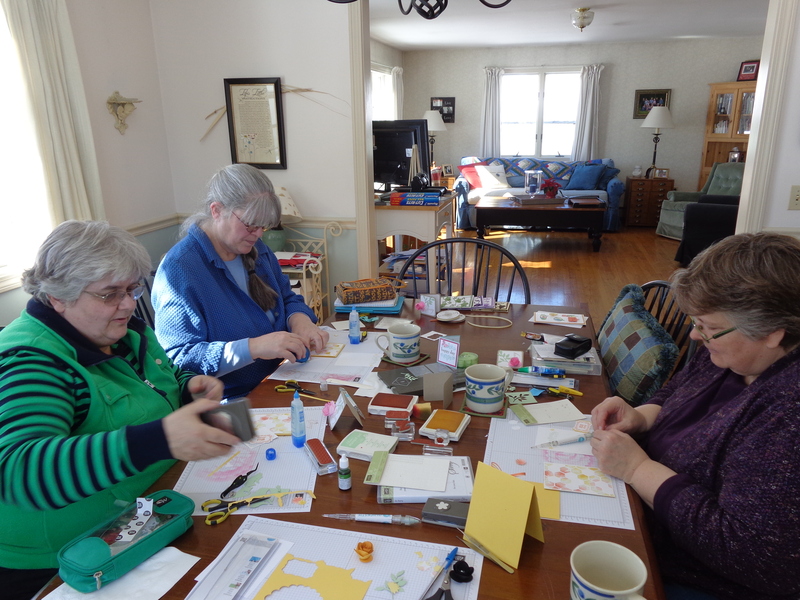 And here is the team working hard on three different “Make and Takes”…. Good Morning from Stamping Peace. 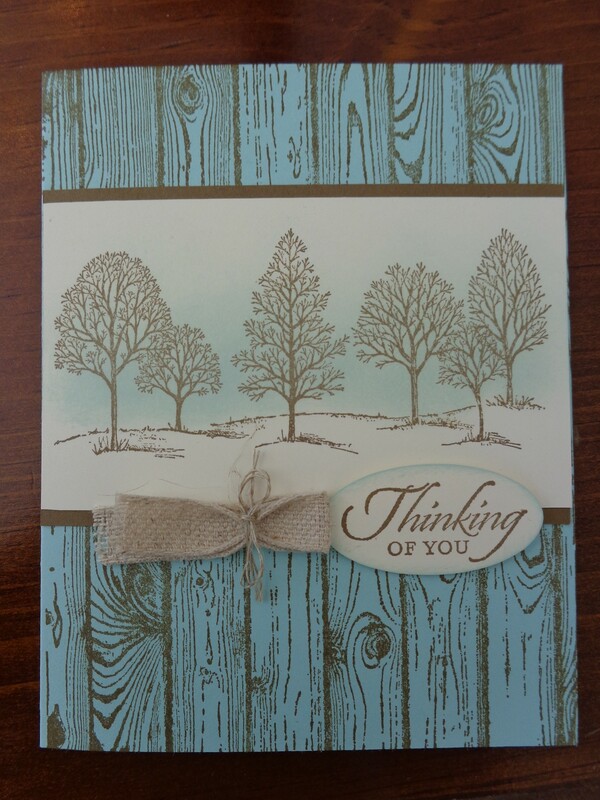 Today’s card belies the fact that last night we had our fourth snowstorm in six days! 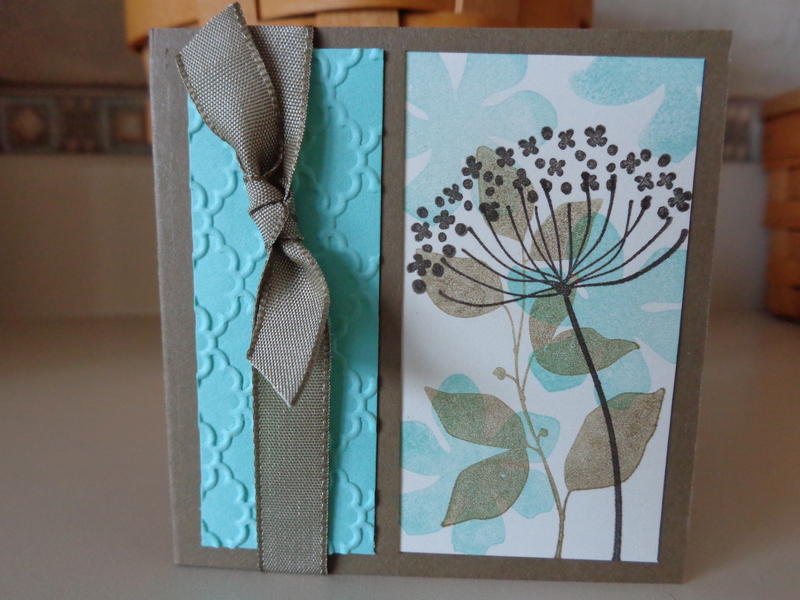 It’s a modification of a Katy McGloin design and lends such an air of promise of spring and new life. 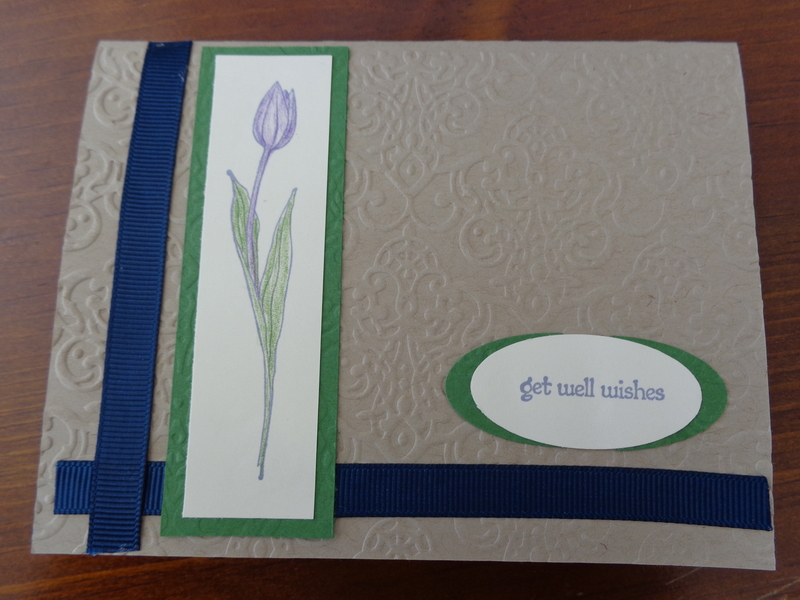 It’s meant to be a get well card for a relative over in Holland…tulips, Holland…what a match! 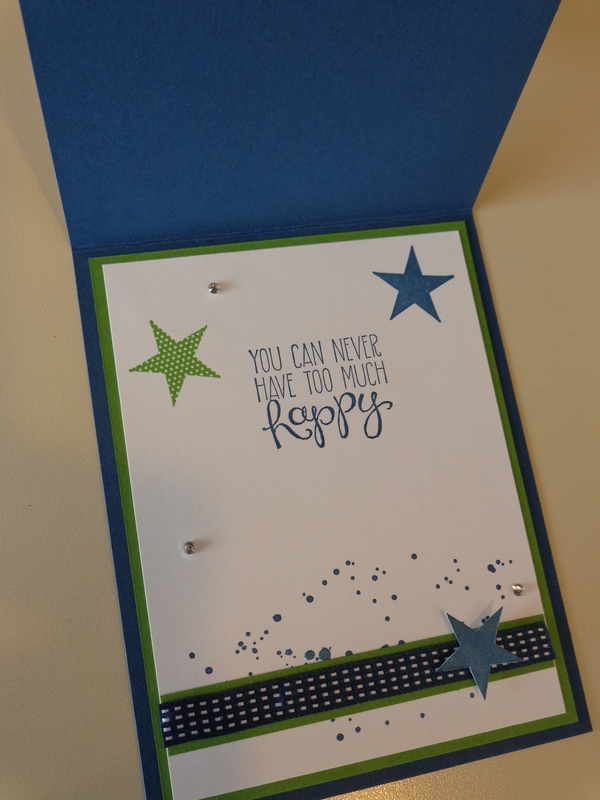 It’s actually the new Stampin’ Up! Easter stamp, but I masked the Easter sentiment, meaning I covered it with masking tape, inked up the stamp, removed the masking tape and stamped. 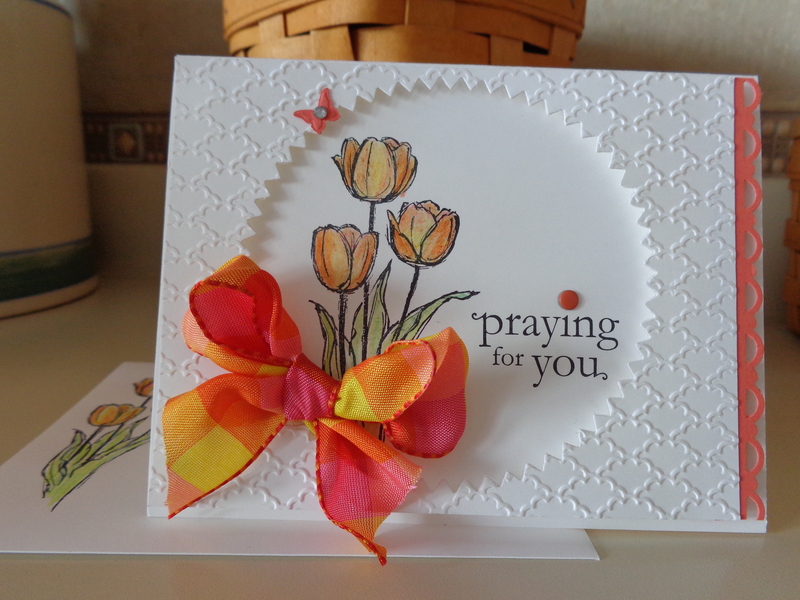 I colored the tulips with yellow, orange and pink colored pencils, and used a blender pen to mix the colors. The butterfly was added to cover up a smudge, and the candy dot was added because I masked the “I’m” on the praying for you and accidentally covered up the dot on the “i” ! 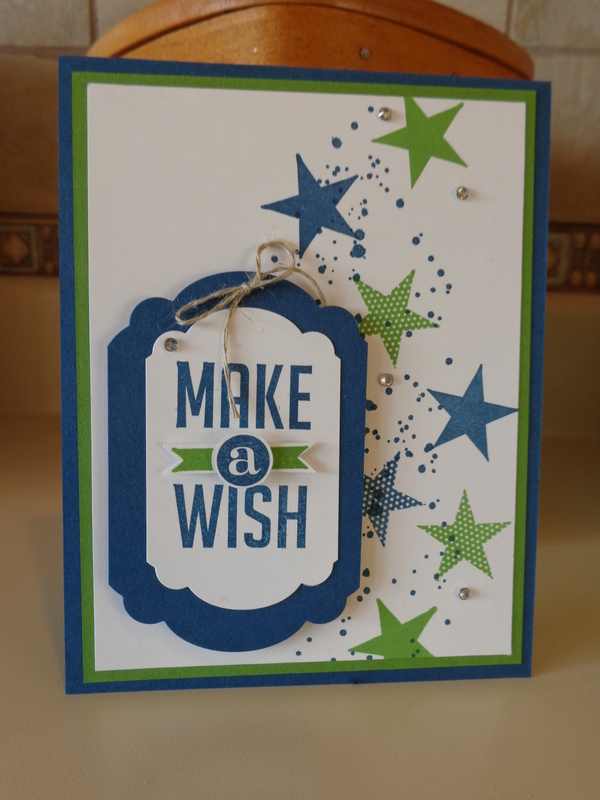 All the products used are Stampin’ Up! 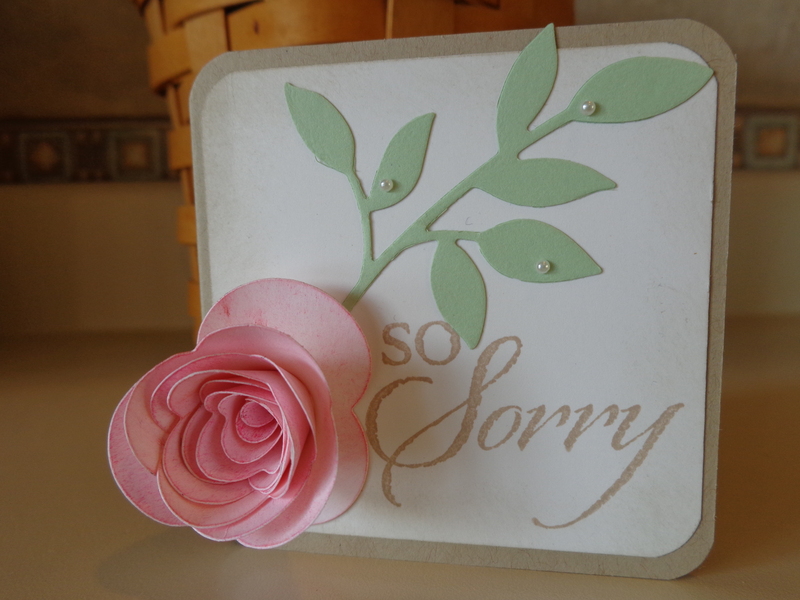 except the ribbon.